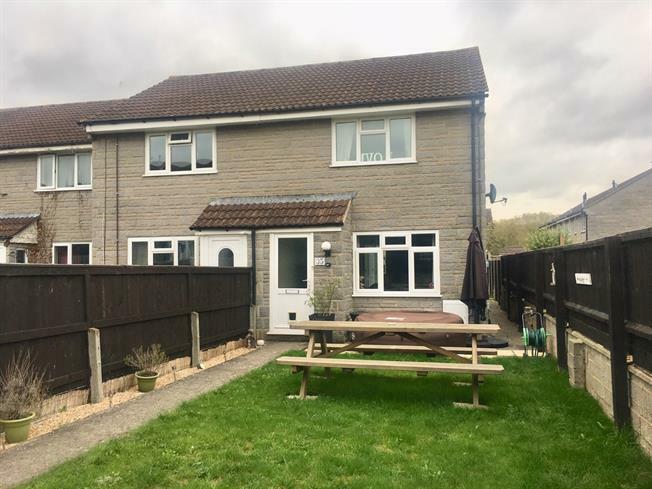 2 Bedroom End of Terrace House For Sale in Langport for Offers in excess of £159,995. A well presented end of terrace property offering entrance porch, living room, kitchen, conservatory, two bedrooms and a bathroom. The property benefits from good size front and rear gardens and a garage in a block to the rear. Built in storage cupboards, radiator and uPVC double glazed patio doors to the rear. Built in double wardrobe with sliding mirrored doors, uPVC double glazed window to the front aspect and radiator. Panel bath with shower over, low level WC, pedestal hand wash basin, radiator and uPVC double glazed obscure window to the rear aspect. The property is accessed via a pedestrian path which leads to a fully enclosed front garden with wooden fencing and entrance gate. The garden is mainly maid to lawn with pathway leading to the front entrance door and path to side giving access to the rear. Mainly laid to lawn and fully enclosed by wooden fencing. Gate to rear gives access to the garage block and parking area. The garage has a grey door and marked with no.35. Council tax band B (South Somerset District Council), gas combination boiler provides the hot water and central heating via radiators, mains water and drainage, TV Aerial, Satellite, telephone and broadband are all connected.